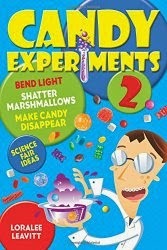 Thanks to everybody who's contacted me to ask if you can use candy experiments at your science fair. Go ahead! I just ask that you cite my website/book as your source (you should always cite your sources). If you have time, email me and let me know how it goes. Here's my roundup of great candy experiment science fair activities.